Not the rendering. The rendering loses the cool doors! You knew it was going to happen, I knew it was going to happen. But not like this. 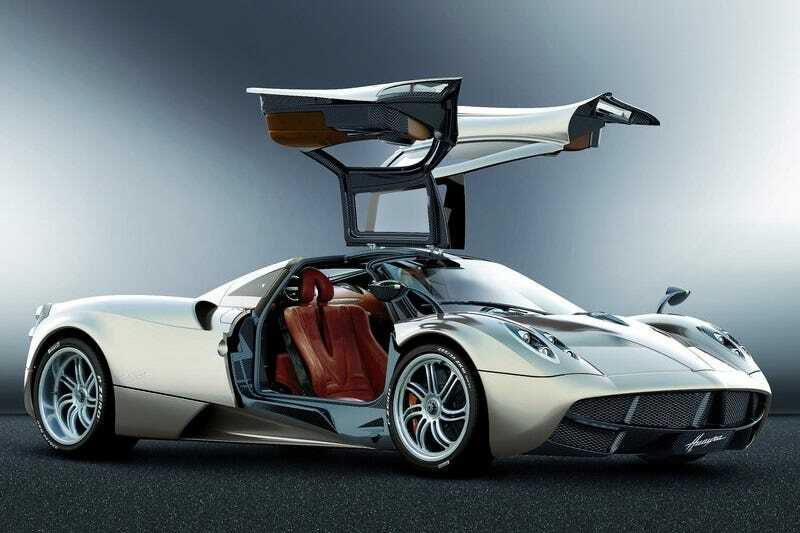 Something as beautiful and amazing as a Pagani Huayra Roadster deserves better than a shady, fuzzy leaked photo of a rendering. Do yourself a favor and just wait until the Geneva Motor Show in March to lay witness to what will likely be a continuation of the 700 horsepower turbo V12 Mercedes-AMG artistry hugged by an airy, incredibly attractive Italian suit. Seriously! March 9th is not that long! Wait!